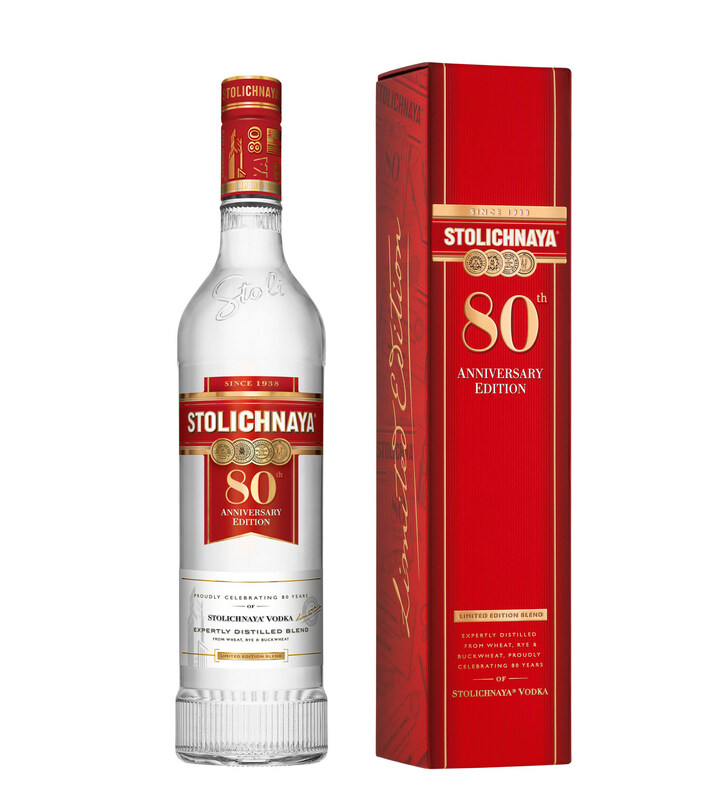 Stoli Vodka, today announced the release of its 80th anniversary vodka, featuring a variation of the traditional Stolichnaya recipe, a limited edition bottle and a decorative gift box. The new recipe brings together three ingredients – 80% wheat, 10% rye and 10% buckwheat. Within the tasting notes they say the vodka is: “a spirit that combines notes of spicy aniseed, vanilla and crème caramel, with a delicate texture, a rich sweetness and a light, dry finish” and hass: “the Character of 1938. The Smoothness of 2018." It is presented with a bottle closure, a two-part front label printed on specialty craft paper and a gift box detailing Stoli's 80-year heritage.